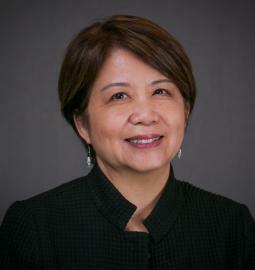 Dean Adriene Lim provides administrative leadership and vision for the UO Libraries, a system consisting of seven libraries with approximately 175 staff and library faculty, and serving UO students, faculty, staff, and community members. Dr. Lim's duties are to lead and oversee library operations; improve library service models; develop and implement the Libraries’ strategic plans in support of the University’s academic priorities, curricula, and research; create fundraising priorities; provide leadership for and collaborate with other campus units on the implementation of new programs and technologies to support teaching, learning, and research across campus; and advocate within the University community for academic library services, collections, and spaces. A priority is to continually align Libraries’ services to meet the needs of diverse constituencies and support a broad range of research interests and programs. This includes working closely with consortium partners nationally, regionally, and locally to develop relevant services and collections. April 2018 - National Center for the Study of Collective Bargaining in Higher Education and the Professions, CUNY Graduate Center, "Assigned Leaders in Unionized Environments: Strategies for Change in Academic Libraries," juried paper presentation. Lim, A. and J. Hartz, Co-PIs of Successful Mellon Foundation Grant Proposal (2017). "Leveraging GLAM Assets in Research, Teaching, and Learning: Faculty Fellowships to Advance Library-Museum Collaboration." Lim, A. (2017). “Against the Odds: Reflections on Asian American Identity and Multicultural, Shared Leadership in Academic Libraries.” Invited book chapter. In Janet H. Clarke’s, Raymond Pun’s and Monnee Tong’s Asian American Librarians and Services Today: Activism, Collaboration, and Strategies. Lanham, MD: Rowman & Littlefield Publishing Group. June 2017 - American Library Association Annual Conference, "LGBT Library Leaders on Queerness at Work: How Queer Identities Impact Leadership Roles, Professional Relationships, and Career Trajectories," invited panelist. June 2017 - Massachusetts Commonwealth Consortium of Libraries in Public Higher Education Institutions, Inc. (MCCLPHEI) Conference and Annual Meeting, "Adaptive Leadership in Academic Libraries: Strategies to Sustain Excellence," invited keynote speaker. May 2017 - Acquisitions Institute at Timberline, "Library Collections, Programs, and Services in an Era of Change: The Concept of Professional Neutrality and Its Intersection with Library Values of Democracy, Diversity, and Intellectual Freedom," invited speaker. April 2017 – Oregon Library Association Annual Conference, Intellectual Freedom Committee Preconference Workshop, “Thriving by the Rules: Crafting Policies for Your Library,” invited panelist, “Library policy ‘sweet spots’: Expressing core values through the library’s rules of engagement." June 2016 – Academic Library Advancement and Development Network (ALADN), juried presentation, “Making Difference Work for You: Navigating Issues of Race, Class, and the ‘Other’ in Successful Library Fundraising,” with co-presenter. January 2016 – Academic Art Museum and Library Summit 2016, invited presentation, “Strategic Alignments: Validating the Work of GLAMs (Galleries, Libraries, Archives, and Museums),” with co-presenter. Hess, A., Greer, K., Lombardo, S. & Lim, A. (2015). “Books, bytes, and buildings: The academic library’s unique role in improving student success.” Peer reviewed. Journal of Library Administration, 55(8). Lim, A., Lewis, V., & Baker, N. (2015). Playing at the big table: Betting on transformative change and collaboration at the Frye Leadership Institute. In I. Herold’s Creating Leaders: An Examination of Academic and Research Library Leadership Institutes. Chicago, IL: American Library Association, Publications in Librarianship. Casey, A., Cawthorne, J., De Long, K., Herold, I., & Lim, A. (2014). The Triple Bottom Line: Portable Applications and Best Practices for Sustainability in Academic Libraries. In M. Jankowska’s Focus on Educating for Sustainability: Toolkit for Academic Libraries. Michigan Academic Library Council (MALC) Spring Workshop, March 2013, Invited Presentation: "Communicating Library Value Begins at the Planning Stage." Lim, A. (2012). Assigned leaders in unionized environments: Coping with the economic recession and its aftermath in academic libraries. (Doctoral dissertation). Simmons College, Boston. Joint Conference on Librarians of Color (JCLC), September 2012, Juried Presentation of Research Project Results: "Opting Out or Overlooked? Librarians of Color and Advancement to Senior-Level Administrative Positions in Academic Libraries." American Library Association (ALA) Annual Conference, Library Leadership and Management Association (LLAMA) program entitled, "Return on Investment in a Tough Economy: Defining the Value of the Academic Library," presentation "Triple Bottom Line Accounting" with two other Simmons Ph.D. colleagues, June, 2011. Lim, A. (2010). “The readability of information literacy content on academic library Web sites.”Peer-reviewed. Journal of Academic Librarianship, 36(4), 296-303. Wang, J. & Lim, A. (2009). "Local touch and global reach: The next generation of network-level information discovery and delivery services in a digital landscape." Peer-reviewed. Library Management, 30(1/2), 25-34. Elteto, S.; Jackson, R.; Lim A. (2008). “Is the library a ‘Welcoming space’? A survey addressing the experiences of diverse students in an urban academic library.” Peer-reviewed. Portal: Libraries and the Academy, 8(3), 325-337. Lim, A. (2003). “Collaborative digitization projects: Opportunities to enhance teaching and learning.” Peer reviewed. Information Technology and Libraries, 22, 2: 75-78. Muir, S. & Lim, A. (2002). Library Systems Office Organization: An ARL SPEC Kit 271. Washington, DC: Association of Research Libraries. Lim, A. (Ed.). (2000-2003). Technology Electronic Reviews (TER), publication of the Library and Information Technology Association (LITA) of the American Library Association. Awarded three-year appointment as LITA’s Telecommunications Electronic Reviews Editor-In-Chief in Chicago, IL, 8/25/2000. Elected by the American Library Associate’s division Library & Information Technology Association (LITA) as LITA Councilor, 2010-2013 Term. Executive Board Member, Phi Kappa Phi National Honor Society – Nominated and Elected to Receive Honorary Membership by PKP Portland Chapter, Inducted 2008. Ph.D. Program – Managerial Leadership in the Information Professions, Competitive Full Scholarship Award, 2007-2012, Simmons College, Boston. Portland State University Butler Award for Faculty Service – 2007. Michigan Library Association’s Annual Loleta Fyan Award for Creative Service, 2004. Exceptional Service Award from Wayne State University Finance Division, 2003. President’s Exceptional Service Awards, Wayne State University, Silver, 2001. President’s Exceptional Service Awards, Wayne State University, Bronze, 2000. Community Service Awards, Wayne State University, Recipient 1999, 2001. Process Improvement Award, Wayne State University, Recipient 2001. National Organization for Women, Detroit Chapter, Harriet Tubman Award for Outstanding Leadership in Community Service, 1998. American Library Association (ALA). Member, 1996-Present.